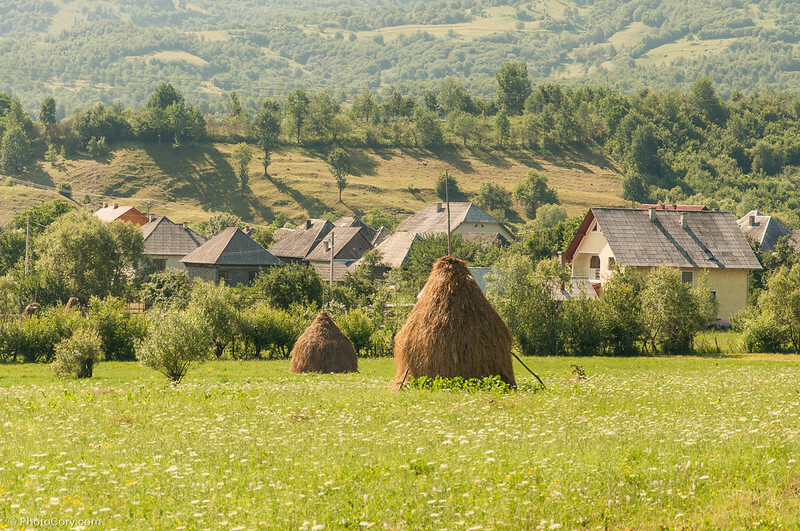 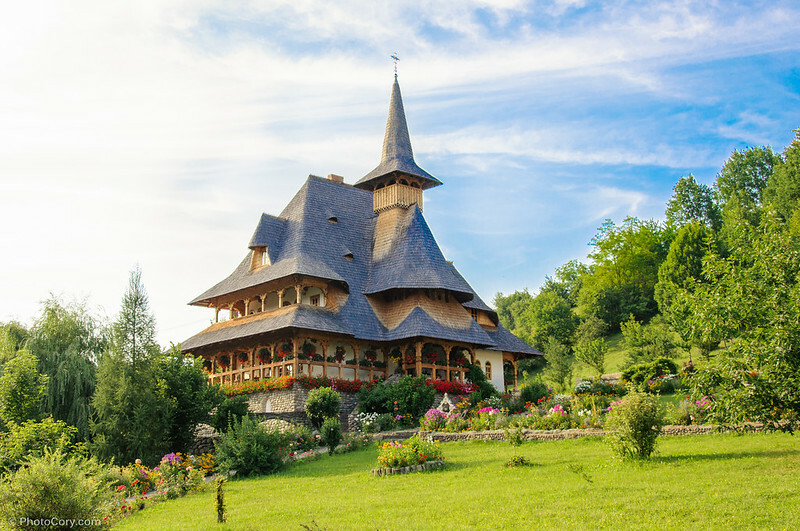 Maramures is a peaceful and quiet region located in the North-West of Romania and it’s impressive with its rural landscape. 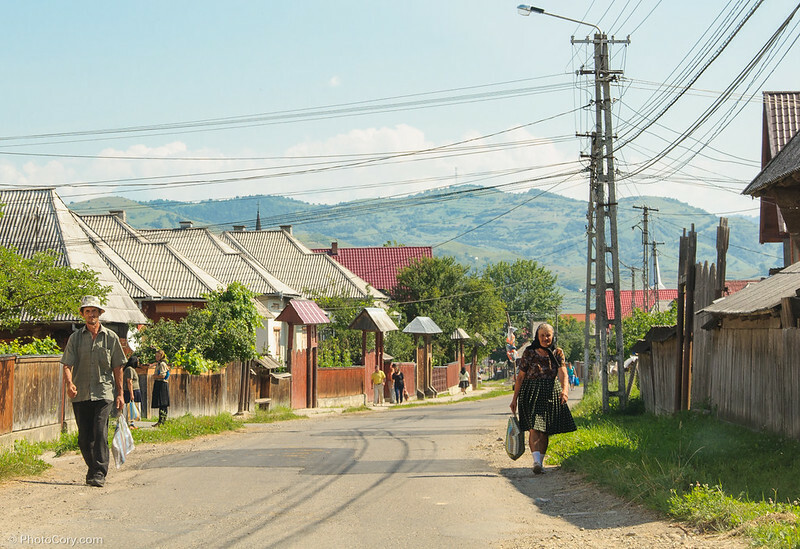 Here we find villages where century-old traditions are still part of daily life, the air is fresh, there’s no pollution and the sound of nature surrounds your senses. 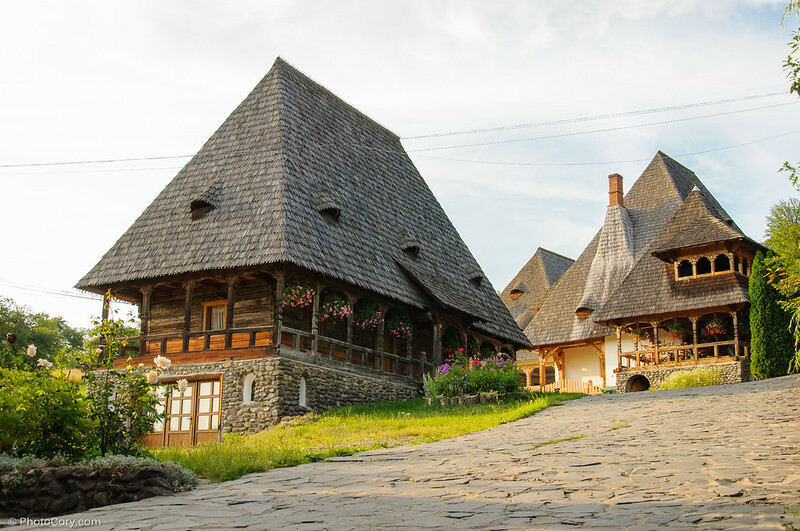 Famous and unique in the world for their double roof and tall, pointy towers, in Maramures there are many wooden chuches, 8 of them being listed by UNESCO as a World Heritage Site. 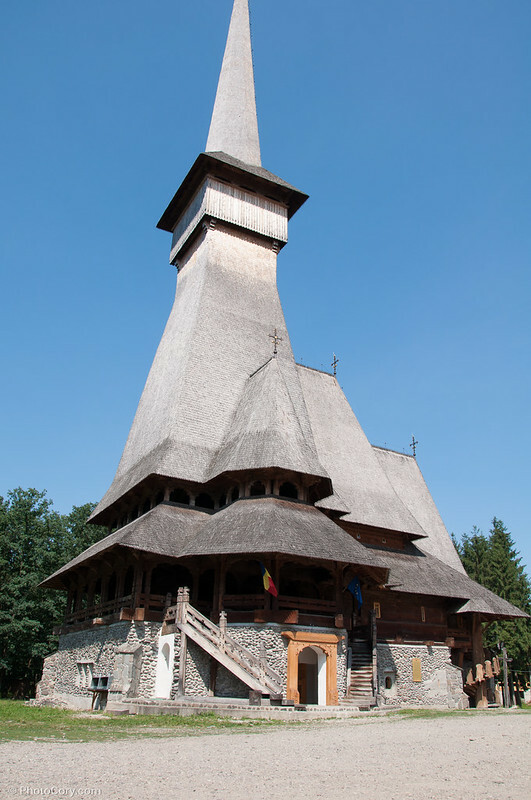 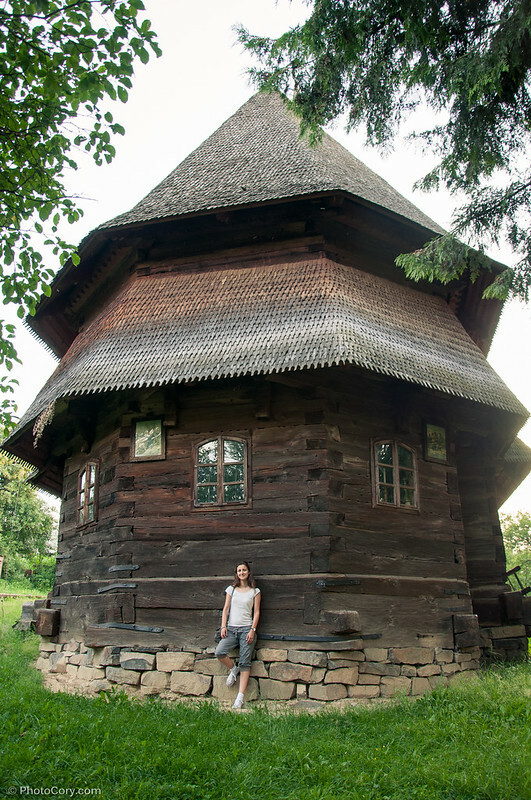 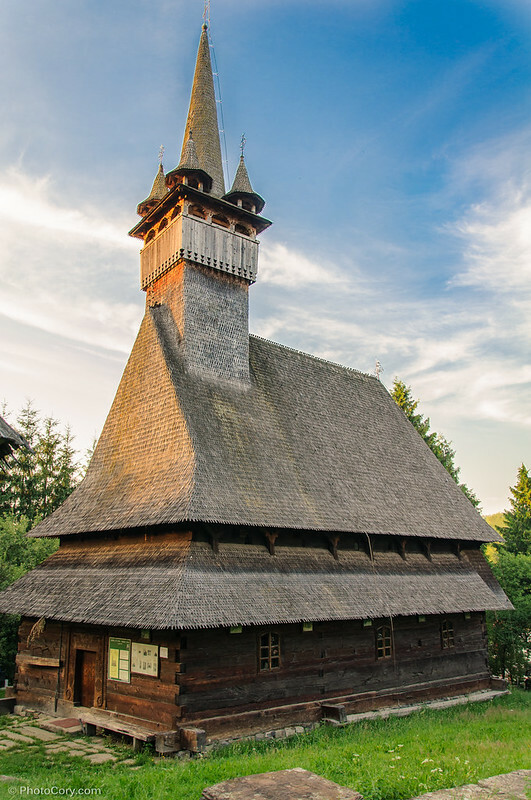 The Budesti-Joseni wooden church is one of them (in the following photos). 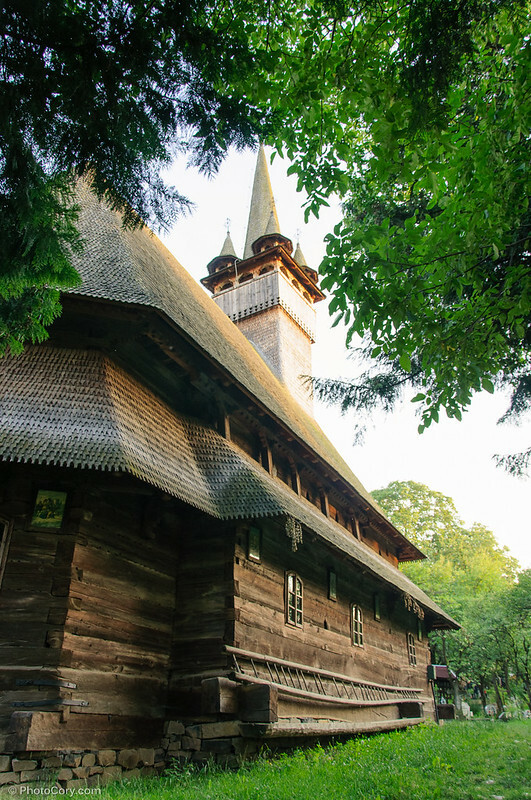 Dating from year 1390, this monastery complex is situated on the valley of Iza River. 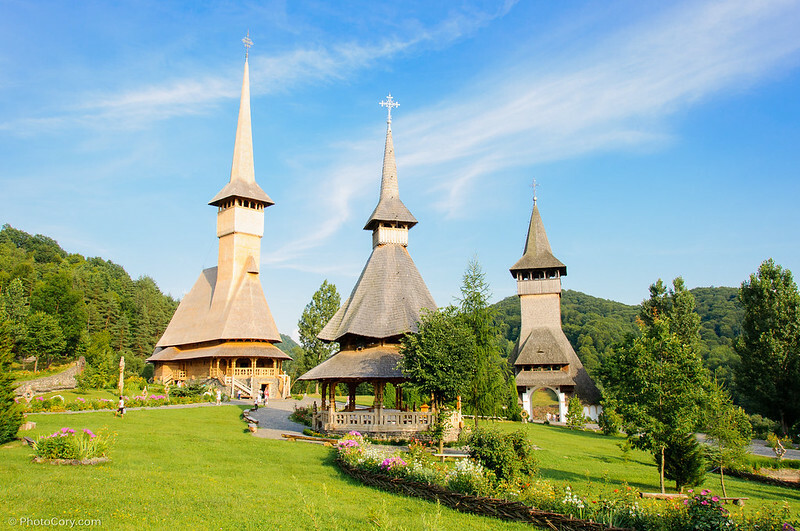 Observe the specific high, pointy bell-towers of the wooden churches. 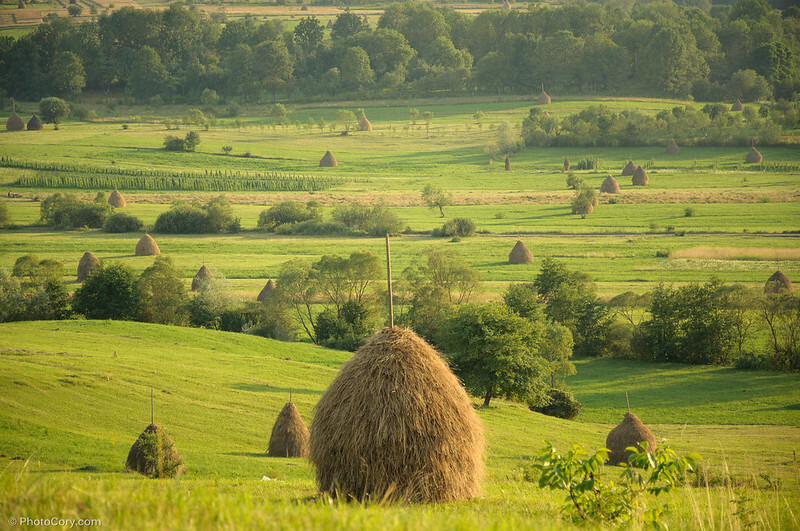 There are vast fields in Maramures, world famous for the hayricks drying in the sun at the end of summer. 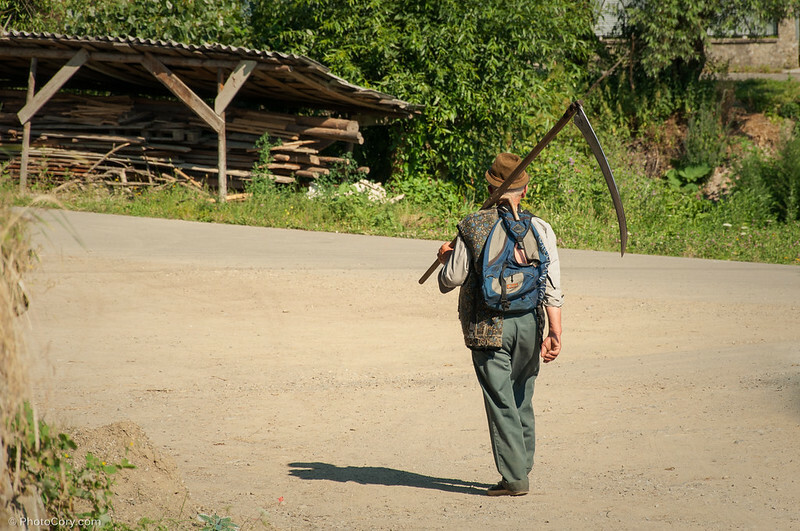 People here cut the grass manually with a scythe. 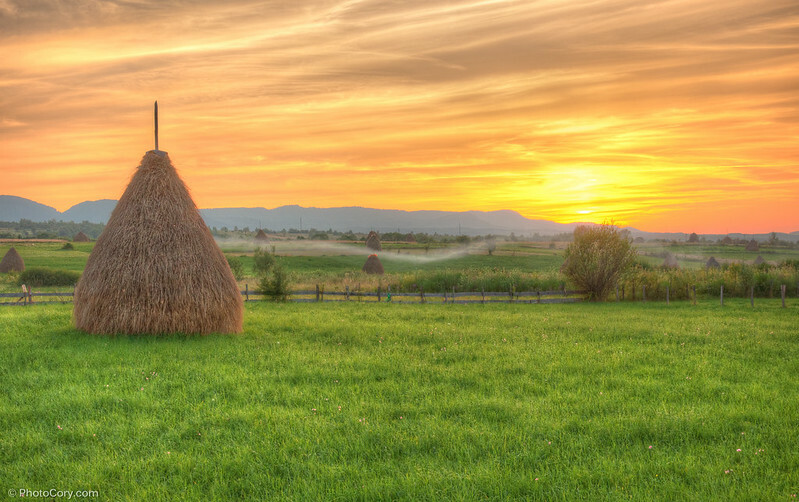 The landscape is simply beautiful and relaxing. 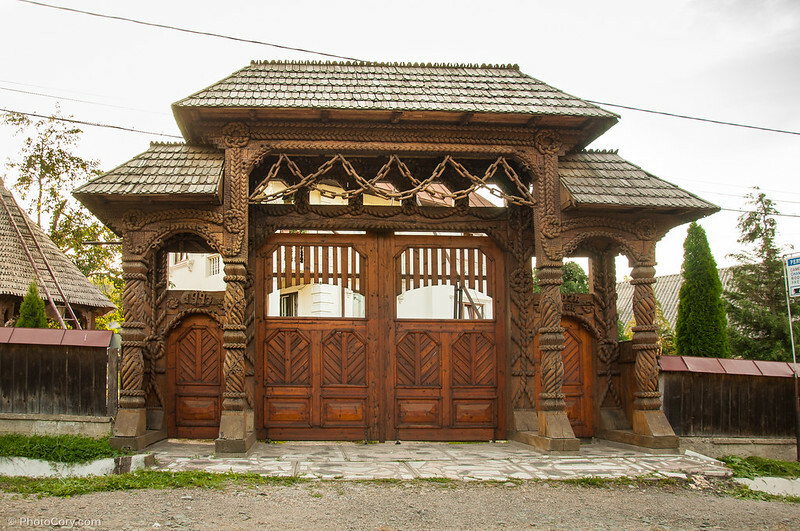 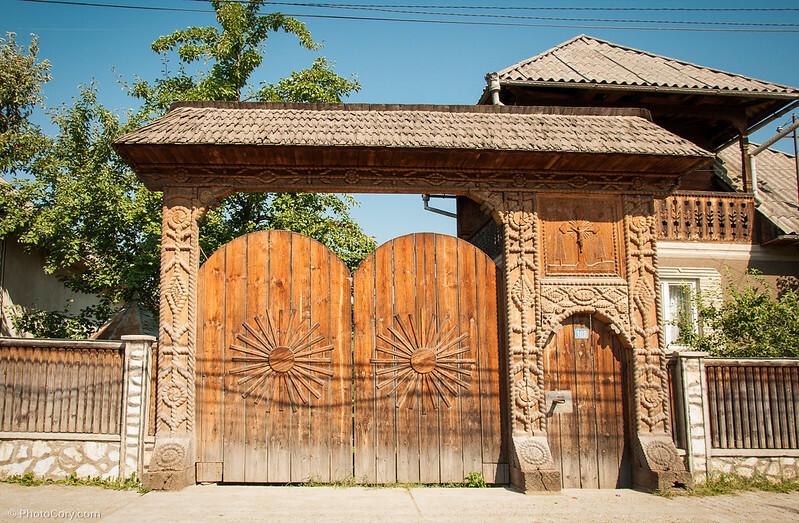 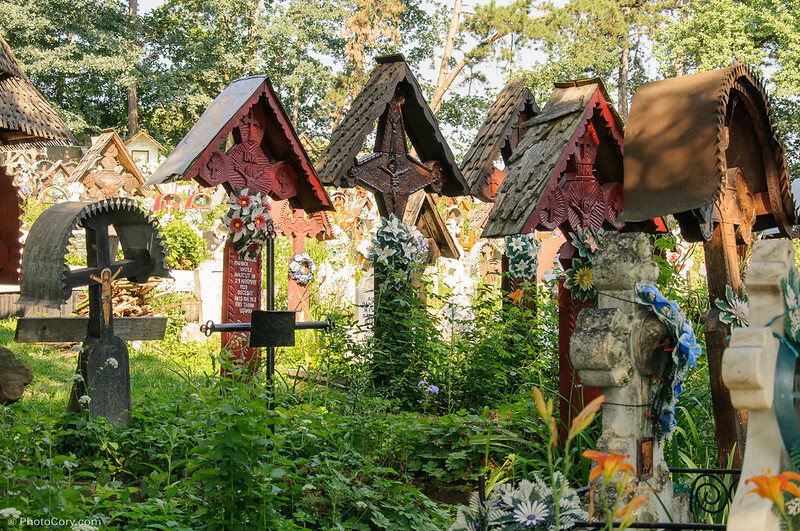 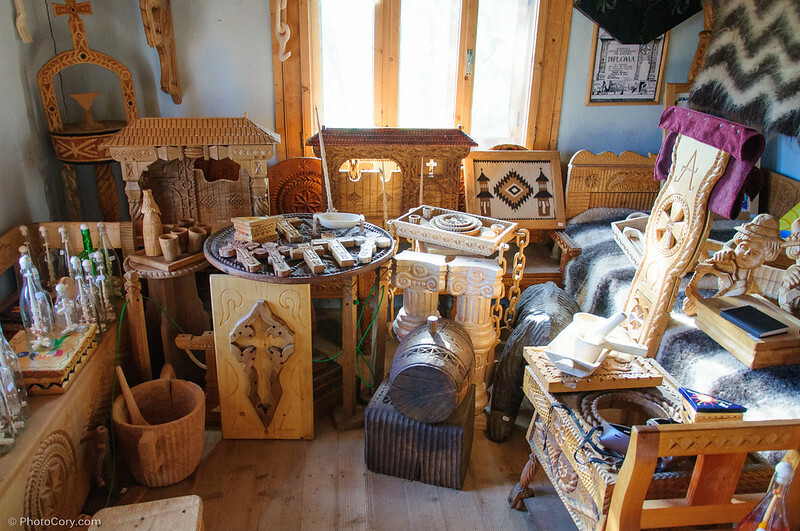 The wooden gates of Maramures are manually carved by the local craftsman and each gate is unique and impressive with its style. 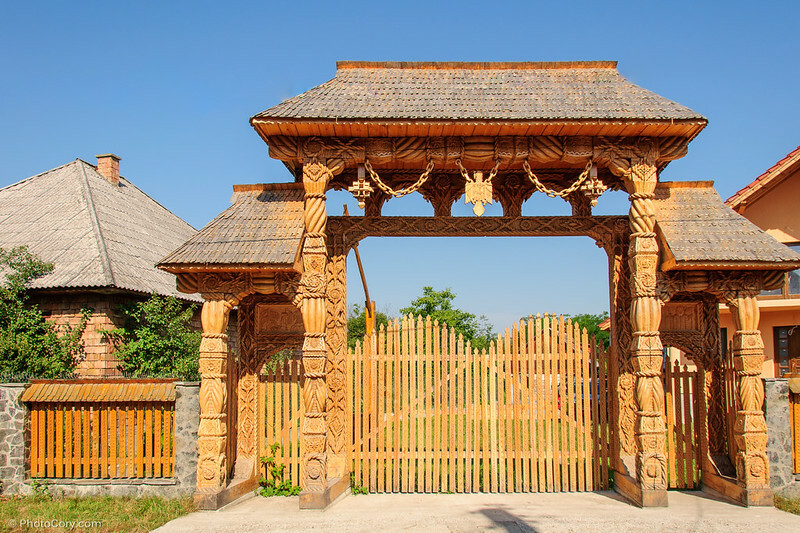 The gates have a roof and various carvings on them (many with a sun, a symbol of wellbeing). 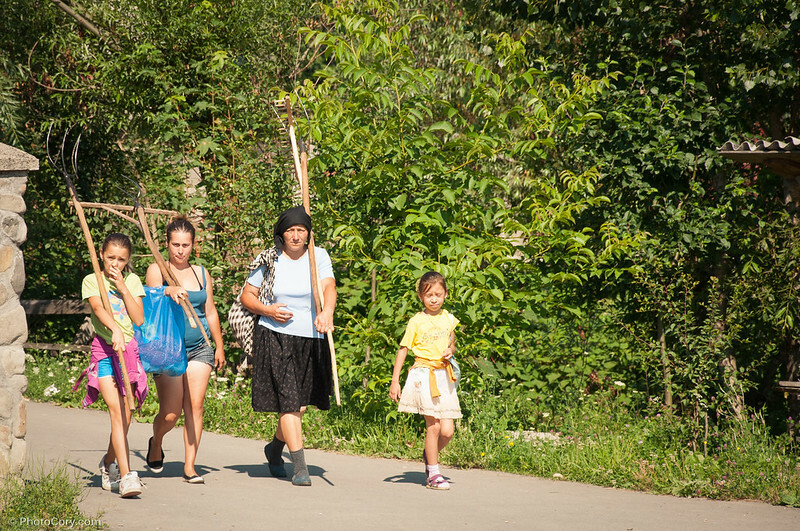 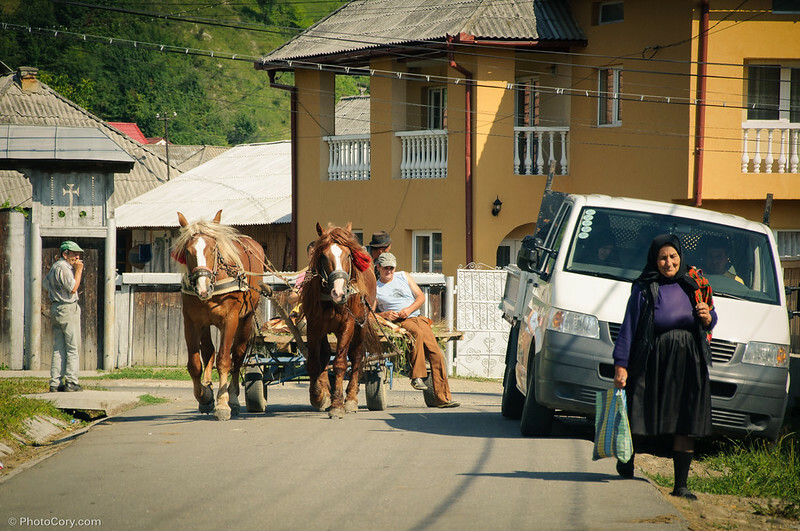 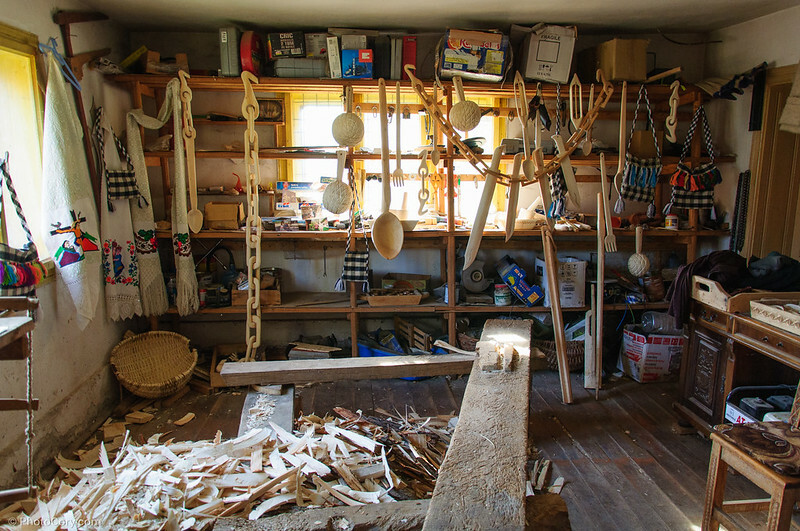 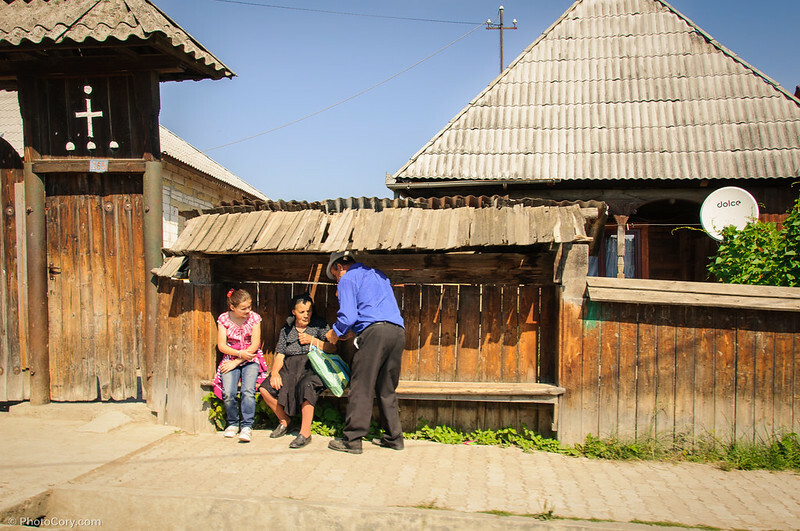 People in Maramures lead a decent, simple life, many still working the field. 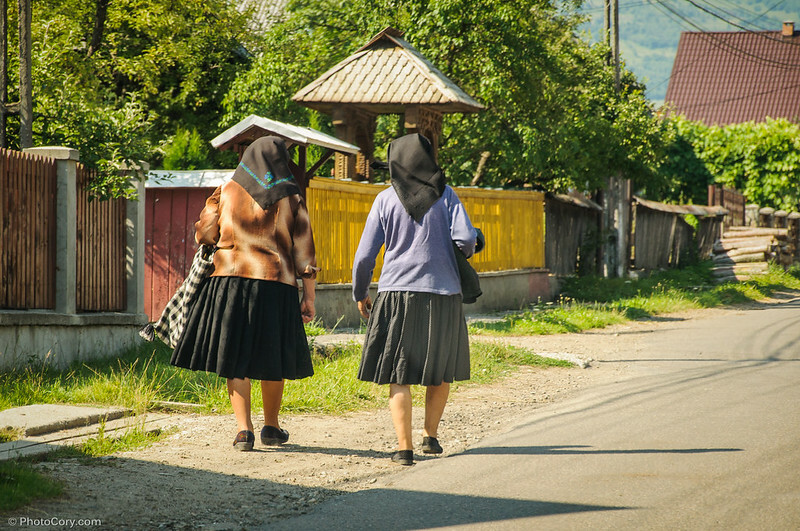 Women still wear scarves on their heads and some farmers go to field in horse-drawn carts. 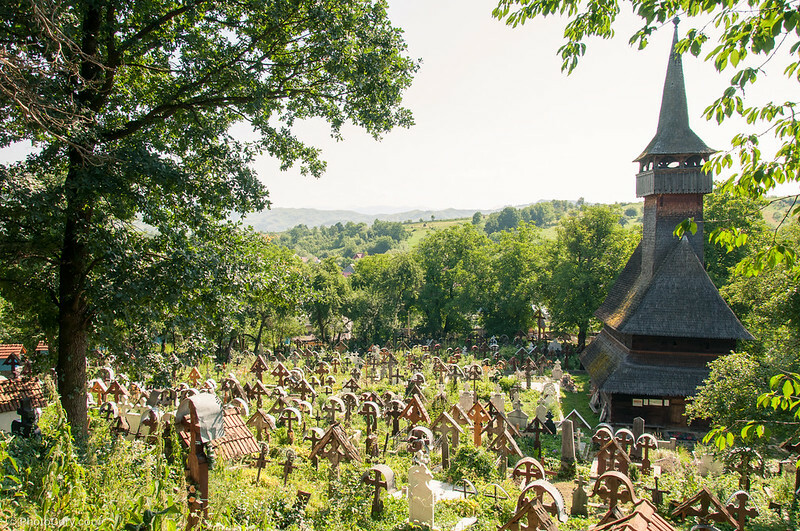 That place is unbelievably beautiful.Another place I would love to visit one day. 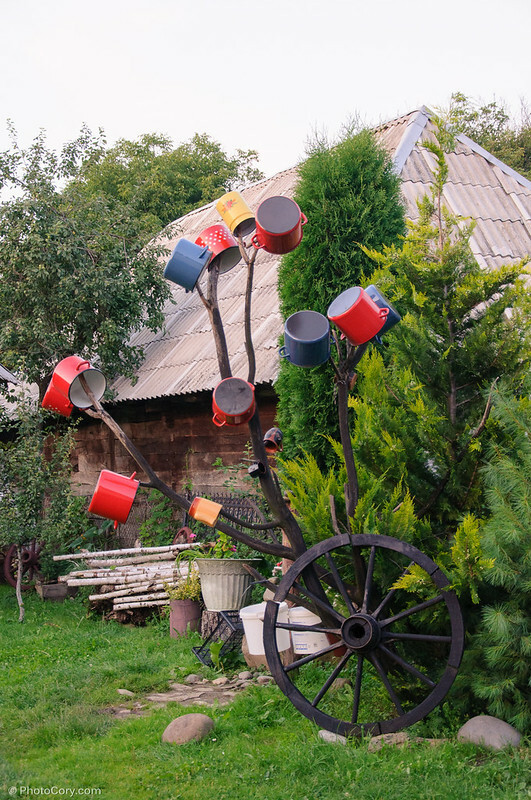 Such an amazing amount of beautiful photos … life looks so lovely and simple and uncluttered … thank you also for visiting poetrycottage. 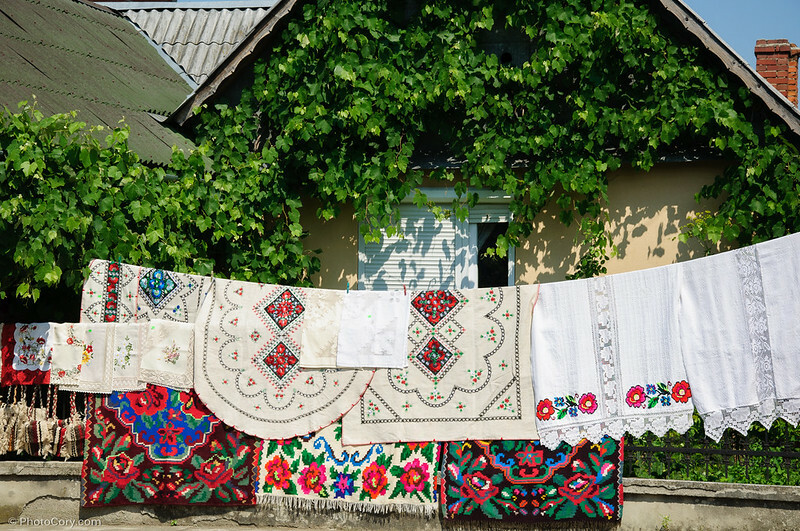 Aaah, lovely images, brings back memories…I visited Romania a couple of times a few years back, and spent a week in Maramures…beautiful. 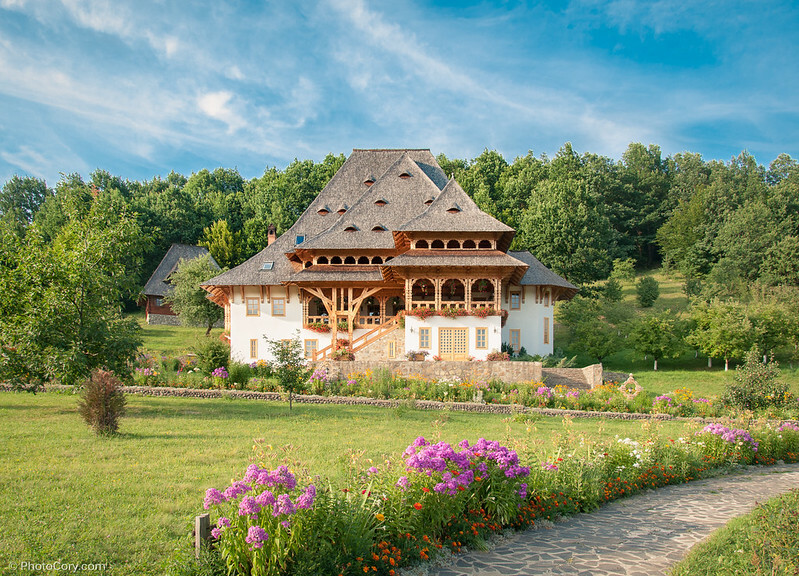 How truly magical. 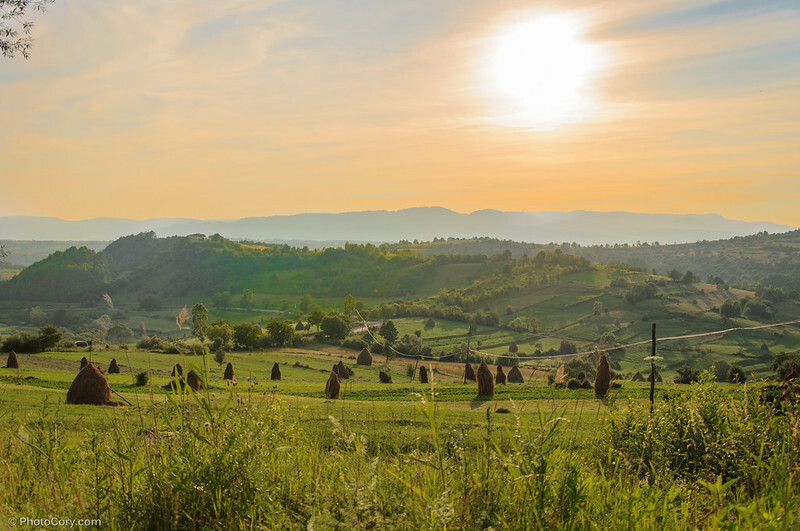 You’re right, its beauty is beyond words, though your photos speak volumes!